Mozy provides cloud-based syncing, sharing, and storage solutions tailored to the needs of individuals, growing businesses, and established enterprises. Using military-grade security, Mozy helps businesses ensure their sensitive information is protected from loss, theft, and leakage. 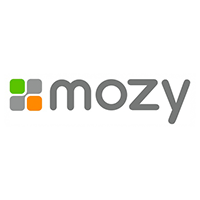 Mozy specializes in providing companies with worry-free, scalable, and efficient cloud storage solutions. Mozy features business and enterprise-level cloud solutions that help companies increase efficiency, security, and collaboration. Mozy’s platform allows for scheduled backups and automated backups, an essential component of any company’s disaster recovery plan. Mozy ensures the safety of data during transit with SSL encryption and allows businesses the option to use a 256-bit AES encryption or a private key. Files uploaded to Mozy’s cloud service are accessible on multiple devices including desktop PCs, laptops, and smart phones. Mobile access is available for the iPhone, iPad, iPod Touch, and Android devices. Mozy is a scalable cloud solution capable of providing user-friendly advanced controls, web-based management console, local and off-site backup, and the ability to quickly move large data sets. Mozy appeals to companies looking for a reliable, affordable, and hands-off cloud storage solution. Agilysys, prior to working with Mozy, struggled to ensure backups were conducted regularly throughout its offices locally and globally. As a provider of IT solutions, Agilysys needed to work with a company that offered consistently high security and top-notch support. Agilysys chose Mozy to implement an efficient, reliable, and safe data protection plan which resulted in increased management controls for all data assets, improved communication, and enhanced productivity. Learn everything you need to know about Mozy. Our experts will reach out to you shortly.